Who is Drake Donovan? He’s a lot of things. Find out on December 29th! Maya Banks’ “Mastered” Releases December 29th! If you liked the Breathless trilogy, you’re gonna love Mastered. Maya Banks’ “Mastered” Available December 29th! What He Wants, He Takes. MASTERED is coming! 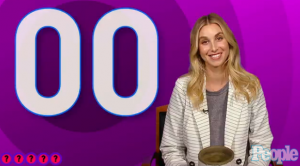 Check out Whitney Port on People Chatter today in an interview from a recent ‪Interactive Media Tour‬!